The NET10 unlimited plan is one of the premier unlimited GSM plans in the USA, utilizing the #1 3G GSM network in the USA. A NET10 unlimited SIM card not only provides unlimited calling in the UAS but also outstanding coverage throught the USA. 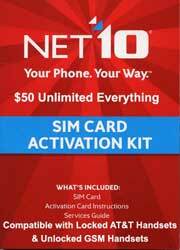 A NET10 unlimited prepaid SIM card offers the following free standard features: caller ID, voicemail, and much more. NET10 uses the AT&T 3G 850/1900 GSM network in the USA. 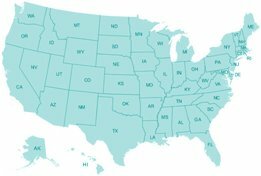 The AT&T network has been rated as the #1 GSM network in the USA with coverage throughout. The service life on your SIM card is dependent on how much you top up. Your wireless phone number expires in 30 days from your last day of service if you do not replenish your account..